Syracuse has been a hotbed for innovators and entrepreneurs for more than 140 years. Today, Syracuse and the five counties of Central New York are home to multiple industry clusters and a vibrant entrepreneurial ecosystem. The growth of this dynamic area is fueled by numerous research universities—including Syracuse University, Upstate Medical University, and SUNY College of Environmental Science and Forestry, which together enroll more than 25,000 students on University Hill in Syracuse. At the foot of University Hill, SyracuseCoE and the CNY Biotech Accelerator (CNYBAC) are conveniently located adjacent to the intersection of Interstates 81 and 690. The proximity of these two innovation centers to the academic community and to downtown Syracuse provides a wealth of intellectual capital and a hub for synergy and collaborative research and development. From products and technologies that promote healthy buildings and greener communities, to next-generation medical devices, the innovation output created within these few blocks has a profound impact on the surrounding area, creating jobs, and growing a stronger economy throughout the region. In Central New York’s Innovation Crossroads, firms collaborating with SyracuseCoE and CNYBAC break ground every day. We invite your firm to innovate with us. Learn more about the Additional CNY Innovation Resources that make Central New York a strategic location to grow business. SyracuseCoE is New York State’s Center of Excellence in Environmental and Energy Systems. 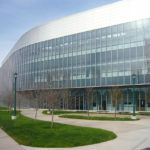 Led by Syracuse University, SyracuseCoE catalyzes research, development, and demonstration (RD&D) projects to accelerate innovations for cleaner energy, healthier buildings, and more resilient communities. 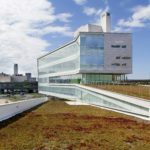 SyracuseCoE’s 55,000-square-foot LEED-Platinum headquarters building is a thriving hub for industry-university collaborations. 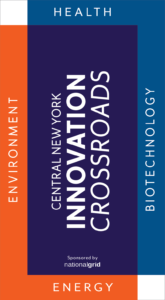 CNY Biotech Accelerator at Upstate is a 60,000-square-foot facility offering state-of-the-art wet and dry labs, services, coordinated resources, targeted mentorship and education to individuals and startup companies involved in the commercialization of biotech innovation. Operated by Upstate Medical University, CNYBAC is a New York State Certified Business Incubator, and an affiliate of Central New York’s Regional Hot Spot. 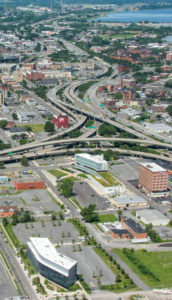 In addition, National Grid supports development of Central New York’s Innovation Crossroads through its Urban Core/Commercial District Revitalization Program. This program is designed to assist communities in promoting “smart growth” and private sector investment in central business districts and commercial corridors that help their competitive viability, attract investment, and capitalize on their distinct development potential.